Tim Cook spends more time pushing his political views than he does on apple products. Sad! Tim needs to focus on his products than dealing with politics and worrying about what Trump is doing! CEOs and Hollywood need to let get off their hypocritical virtue signaling horse and either run for Congress to actually make chances or shut the funk up and let congress do its thing. I would prefer if corporations stayed out of politics. Behind this veil of empathy, it's in their interest that they support policy that keeps wages low. The actual politics of the dreamers themselves is awkward to say the least. Their parents skated the law, but being a minor they would have had no idea whats going on. Break up families, or let them stay and set a precedent, that if you break the law long enough, you will win. Thats a great message to send across the world if you want to control your immigration levels. But sending "back" people who may have only been month old babies when they came to the USA, seems pretty heartless. Good luck resolving that one America. Tim Cook stories are boring. All politics and little else. Time for him to retire as CEO of Apple and become a politician. Apple needs a tech visionary not a politician to be CEO. 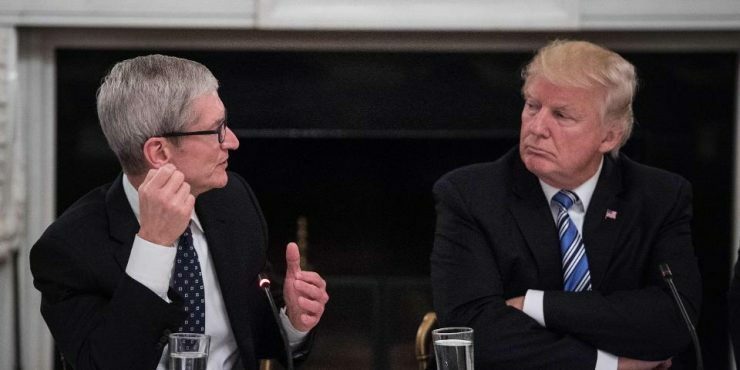 Tim Cook is an open borders globalist. How long will people be in denial of this for? Throw in the wall and I'm on board with this. The motive of this coalition is simple. Rather than expend time, effort, and money on improving the education of citizens to fill the high tech jobs they have they’d rather import non citizens who they can pay less and get more work out of instead. It’s capitalism at its best. No altruism here, no social justice, just shear greed for profit.